Fall is here and gardeners everywhere are canning in overtime! Food preservation has been on my mind for the last couple months (gotta do something with all the garden goodies! ), so I’m going to give you three totally different options for preserving your peppers! Years ago, when I first started gardening, I was too chicken to do any canning, so I froze any of my garden surplus. I do this with all kinds of peppers- bell, jalapenos, banana peppers, etc. It doesn’t take long or require extra equipment (except a freezer, of course!). Step 1: Wash your peppers. Step 2: Cut them up (not dice them, just whittle their overall size down so they’re not so bulky) and de-seed them. Step 3: Throw them in a freezer quality plastic bag. The peppers will get mushy once thawed. I use my frozen peppers for my salsa. Making a big batch of salsa is kind of a pain and one that I have to clear my schedule and mentally gear up for, so I freeze my tomatoes and some extra peppers until I’m ready for a salsa canning marathon. I started doing this a few years ago and I love it! It definitely takes some more elbow grease than just throwing them in the freezer, but it’s so worth it! 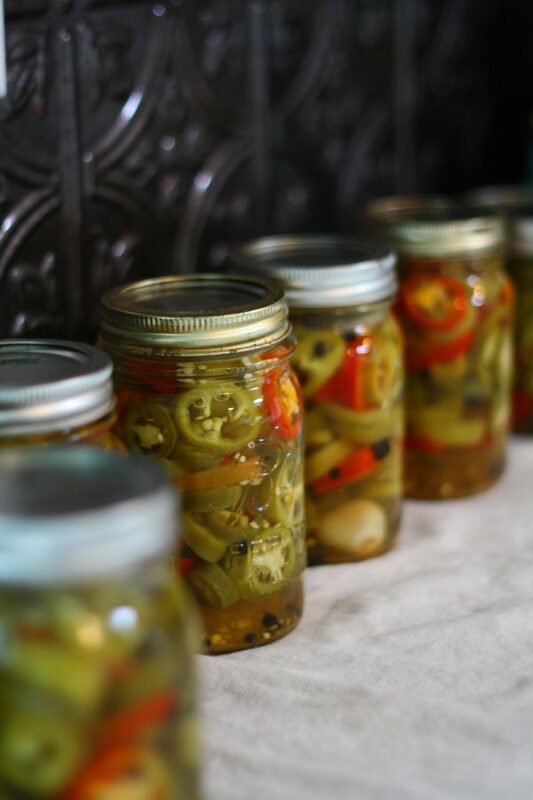 My pickled jalapenos are a huge hit with Jeff, friends and family! Jeff loves to put pickled jalapeno slices in his eggs, on hamburgers, etc. My friend’s husband just likes to eat them straight out of the jar! That’s seriously how good these things are! My salsa recipe actually calls for pickled jalapenos, so I make sure to save back some every year just for salsa making! I also pickle my banana peppers, too (using the same recipe) and use them in my salsa. There are some obvious disadvantages to this method. It requires a lot more work (slicing up peppers is very time consuming and I highly recommend wearing gloves! *Ask me how I know….) and if you want to can them, then you must drag out the canning equipment. See the mess? A short term problem that is so worth it in the end! You can just turn these into refrigerator pickles, which would cut down on the canning mess, but I don’t have enough fridge space to devote to 20 jars of pickled peppers, so I always can them. 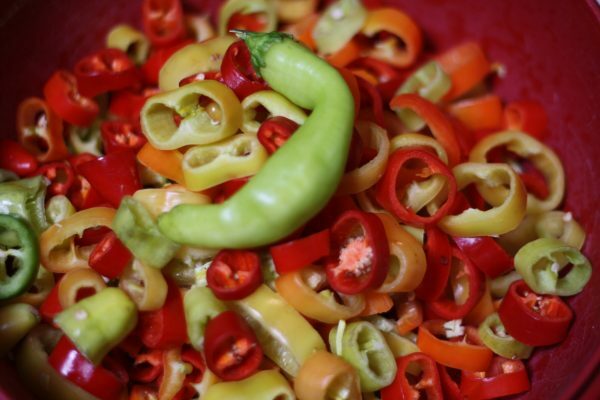 There are two main advantages to pickling your peppers (every time I type that I think of the tongue twister! )- You don’t use up fridge or freezer space and they have more uses besides just dumping them into salsa. 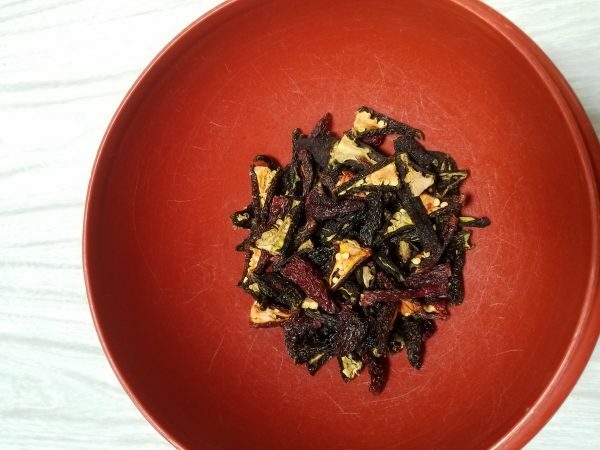 Dehydrate your peppers and turn them into seasoning powder. This is a method that I have just used this year for the first time, but I’m hooked! So, this year I decided to experiment with it. About a month ago, I picked a whole bunch of poblano peppers. This is my first year for growing poblanos and I wasn’t quite sure what to expect. Well, apparently, my two little plants enjoyed our Kansas summer and they were LOADED with peppers! Which, I had no idea what to do with! After a bit of research, I decided to dehydrate them and turn them into ancho powder. I had Elisa quarter the peppers and we put them in the dehydrator for 14 hours (per the instructions from the dehydrator). 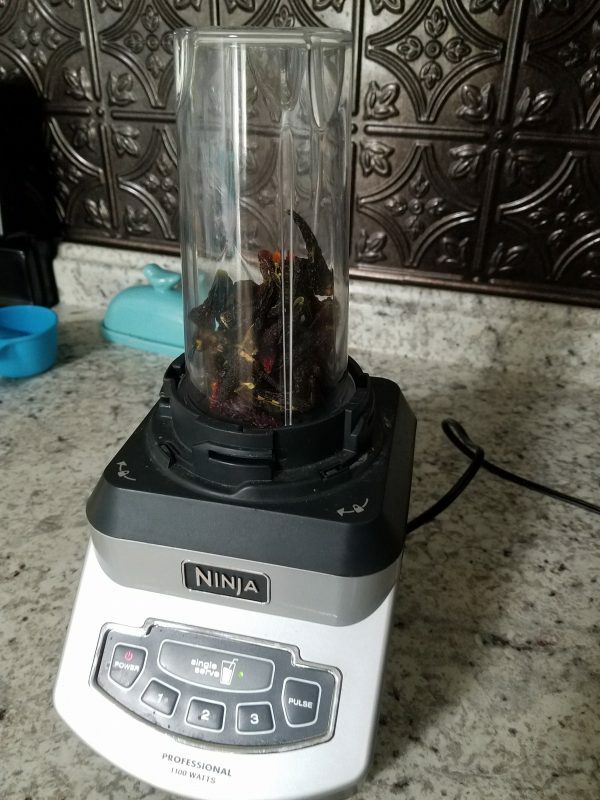 The next day, I threw them in the blender (Here’s the blender that I use and LOVE!) 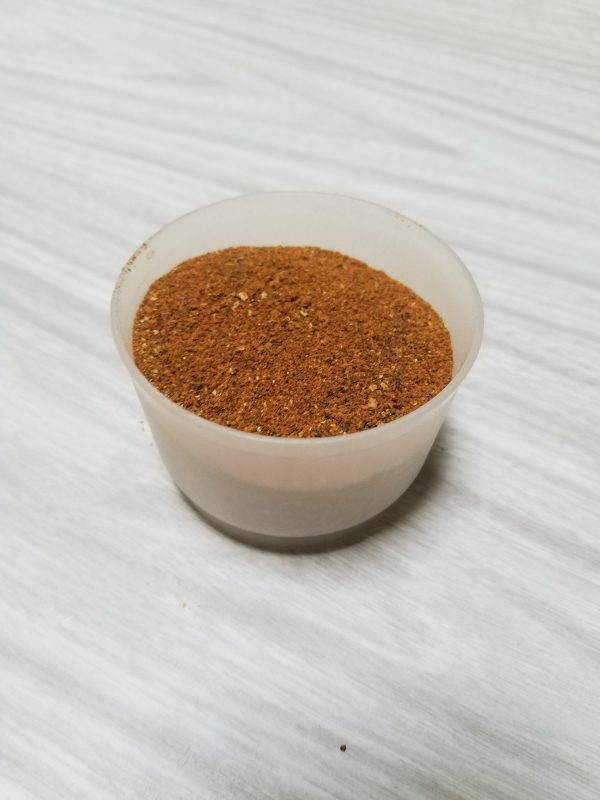 in small batches and made a small container of ancho powder! These are actually my jalapenos from this morning! Yesterday I ended up with this bowl full of jalapenos and they were reduced to this! I blended them in small batches so I could make sure they were thoroughly ground. It definitely takes up less space than all those canning jars!! And it was super easy! I’m actually going to strip my jalapeno plants this afternoon and throw the bunch in the dehydrator for jalapeno powder. I pickled 20 pints of jalapenos earlier this summer and put another gallon in the freezer, so I figure it’s time to use this third method this time around! 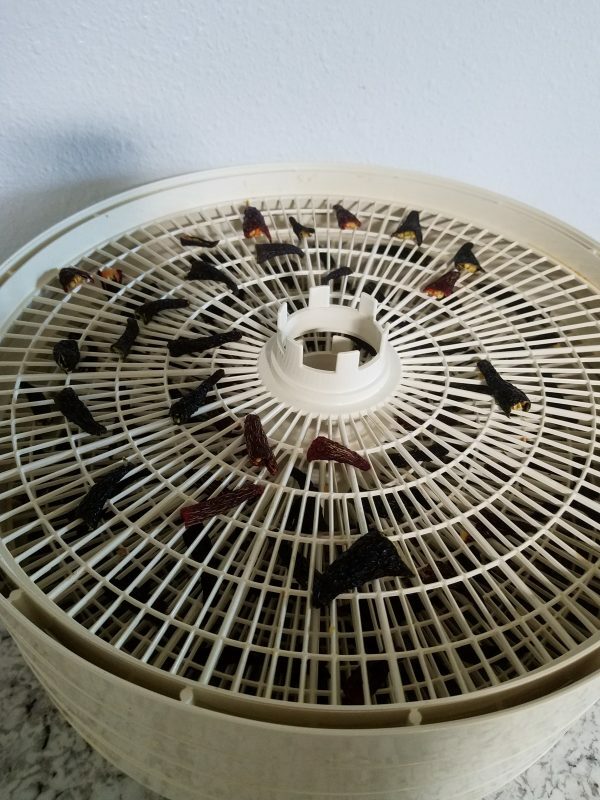 The obvious disadvantage to this method is you must own a dehydrator. Mine is nothing fancy- it’s a simple one left over from Jeff’s bachelor days when he use to make his own jerky. It’s very similar to this one. You plug it in and let it go! 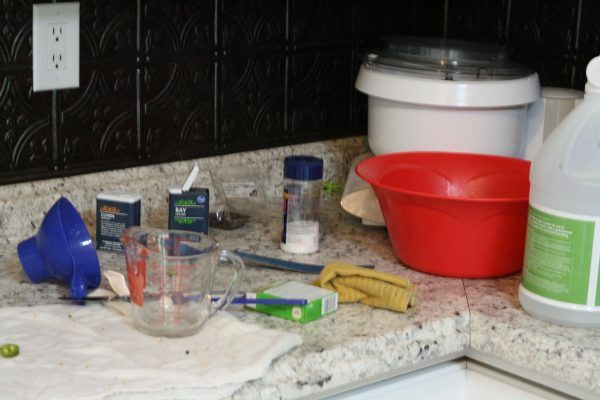 A big advantage to this method is that your final product takes up very little space! It’s a great way to preserve the rest of your pepper harvest if you’re getting strapped for pantry or freezer space from your other garden preserving! There you have it! Three options for preserving your pepper harvest! I hope your pepper harvest was prolific this year and you have lots of peppers to preserve! 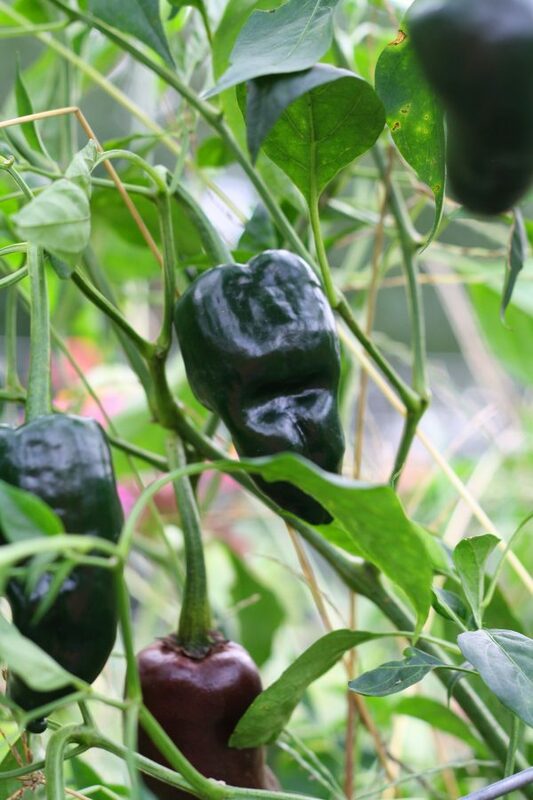 Do you grow peppers in your garden? What’s your favorite preservation method? ?